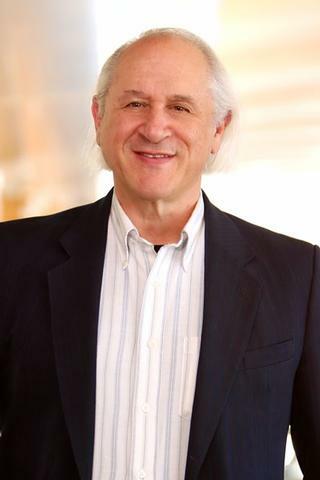 Dr. Mark Noble is a pioneering researcher in the fields of stem cell biology and stem cell medicine. His laboratory has made major contributions in multiple areas of research, beginning in 1983 when, working with Martin Raff and Robert Miller in London, he co-discovered the first precursor cell isolated from the central nervous system (CNS). Dr. Noble and his colleagues then were the first to identify means of growing these cells in tissue culture, means of enabling expansion sufficient for carrying out repair, and the first to repair damaged tissue (in this case, the demyelinated spinal cord) by purifying progenitor cells, expanding them outside the body and transplanting them to obtain tissue repair. Interest in cell-based therapies is now focused on collaborations with the laboratory of Dr. Chris Proschel on transplantation of a unique population of astrocytes to promote recovery and repair in acute and chronic injury to the central nervous system. • Established the importance of intracellular redox state as a critical regulator of precursor cell function and in the function of multiple extracellular signaling molecules. These findings laid the foundation for rapidly growing interest in metabolic regulation of stem and progenitor cell function. • Identified novel therapeutic strategies for cancer treatment, which offer the potential to be more effective and less toxic than existing therapies. Current research efforts and collaborations are focused on developing pharmacological and cell-based approaches to treatment of spinal cord injury, development of novel treatments for peripheral nerve injury, better understanding the reasons why treatment with chemotherapy can cause profound neurological changes, developing safer cancer treatments that more effectively eliminate cancer cells while sparing the normal cells of the body and developing new therapeutic approaches for diseases involving lysosomal dysfunction in pediatric and adult populations, and for devastating pediatric neurological diseases. Dr. Noble received his Ph.D. from Stanford University in 1977. He joined the faculty of the University of Rochester in 2000. He currently holds professorships in Genetics, Neurology, Neurobiology and Anatomy at University of Rochester School of Medicine, New York and is Director of the University of Rochester Stem Cell and Regenerative Medicine Institute. He is an inventor on 15 filed or pending patents and has consulted for multiple pharmaceutical and biotechnology companies. He also was a member of the founding scientific advisory board of Acorda Therapeutics, Inc., a biotechnology company focused on the treatment of neurological disease. He is co-author of over 150 scientific publications. Scott-Hewitt NJ, Folts CJ, Noble MD. "Heterozygous carriers of galactocerebrosidase mutations that cause Krabbe disease have impaired microglial function and defective repair of myelin damage." Neural regeneration research.. 2018 Mar 0; 13(3):393-401. Scott-Hewitt NJ, Folts CJ, Hogestyn JM, Piester G, Mayer-Pröschel M, Noble MD. "Heterozygote galactocerebrosidase (GALC) mutants have reduced remyelination and impaired myelin debris clearance following demyelinating injury." Human molecular genetics.. 2017 Aug 1; 26(15):2825-2837. Geary MB, Li H, Zingman A, Ketz J, Zuscik M, De Mesy Bentley KL, Noble M, Elfar JC. "Erythropoietin accelerates functional recovery after moderate sciatic nerve crush injury." Muscle & nerve.. 2017 Jul 0; 56(1):143-151. Epub 2017 Feb 06.